This little jingle penned back in the twenties by one of America’s favorite poets, still remains popular, even today. Perhaps with the ongoing debate about global warming and climate change, this nine-letter stanza is seeing a rebirth of its own. Even so, the short poem has turned out to be one of the most popular of all of Robert’s Frost work. I guess this goes to show that bigger is not better. Not to long ago, while researching an article on underwater volcanoes for the content mill, I came across a website called Ice Age Now. This is definitely one place, on the web that sing the accolades of “Global Warming”. Instead, they put forth the proposition that the planet is about to enter a Mini-Ice Age similar to what was experienced a 1,000 years ago. Furthermore, climate on earth is controlled much more by the sunspot activity and the resultant radiation (or lack thereof), rather than man’s activity on the planet. Evidence is cited from around the world to back up their claim. For example just this week they mentioned a three foot blizzard in southern Chile (its winter down there), a blizzard in the mountains of China (that’s definitely odd and unusual) and earthquakes at the Katla volcano in Iceland (they were very small, 3.8 was the biggest. Absent from this weeks news flashes was the heat wave in the Central U.S.
No, this is not a quote from somebody watching the Tour de France, but rather the slogan from some observers of our global weather at Ice Age Now. Nonetheless, predictions about world weather patterns and not something to be put forth lightly. Case in point is the famous Krakatoa volcano, which put so much ash into the atmosphere that the weather patterns around the world were affected. Could man be capable of the same thing today. I think so, but pinpointing cause and effect in such matters is not easily accomplished. Some days like today when temperatures are sky high, I ponder whether the earth is getting too warm. Maybe a chain of monster volcanoes going off will cool the planet down. But then who knows what next January will bring. Last Wednesday was a torridly hot day in Philly. The heat was oppressive and the humidity was just as bad. Somehow I negotiated the sizzling mid-afternoon walk from the Philadelphia Free Library to the historic literary site. Once I walked in the front door of the early 19th century brick rowhouse I was glad I did. The main reason being the fully-functional air conditioning system and the ice-cold drinking water that came shooting out of the basement fountain. Oh, the joys of visiting a federally funded building. After attending the University of Virginia and West Point Military Academy (he had to withdraw from each due to lack of money), Poe set out on his own literary career as a writer, poet, editor and critic. Not only did Poe experience many tragedies during his lifetime( both his mother and wife died of tuberculosis), but he also moved frequently. During his life time he dwelt in four cities, Boston, Baltimore, Richmond and Philadelphia, but during his six year stay in the City of Brotherly Love, he moved four times. One of these residences, located at the corners of 7th Street and Spring Garden Ave., is now a National Historic Site administered by the National Park Service. Poe moved to Philadelphia to take on a job of editor of a prominent literary magazine. The attractive brick house sits on a quiet tree-lined in a working-class neighborhood, just a few blocks from the downtown high rises. A walk through the house is a step back in time and according to the historians, a trudge down the stairs into the basement, is like a glimpse into the creative mind that penned “The Black Cat”. Much can be learned about how people lived before the Civil War by walking through the various rooms of the Poe house. Most noticeable is the small-size of the rooms and especially the stairways. Applying poetry to sports is not an unheard of event, but it is a literary activity that is not usually applied to football. However, an opportunity recently arose to write a piece of Haiku about the upcoming Super Bowl, which features a contest between the Pittsburgh Steelers and Green Bay Packers. The popular sporting event is scheduled on Sunday and will be played at Cowboys Stadium in Arlington, Texas barring any unusual weather events or meteorites dropping out of the sky. Haiku is an interesting form of short poetry, originally associated with Japan, but now popular in the English-speaking world as well. In this type of writing a short poem is created using just three lines of text. Each line has a designated number of syllables and rhyming isn’t necessary. The first and last lines each contain five syllables, while the middle phrase bears seven. Traditionally, Haiku portrays two juxtaposing images, which when combined, should reveal irony, humor and awareness. In Japan, Haiku was often used to express some of the tenets of Zen awareness, along with detached observations and comments on everyday life. In America, Haiku has become a popular method of reflecting our national past time, baseball, but associating this poetic structure with football is much less common. Perhaps this will change in the future. Recently, I wrote several Haiku in honor of Super Bowl LXV, which is due to be played early on Sunday evening. One was published at Associated Content and the other two I have included with this post. Hope you enjoy. Soon the New Year will arrive to the East Coast of America. Already it has already passed through many nations from Japan to Ireland. As the East Coast of America gathers to ring in the New Year, I would like to put out a plea for Whirled Peas. With warfare all too common in many places across the globe, including Afghanistan and Iraq, I suggest to all parties that there is no time like the present to cease hostilities. And there is no better time than now to enjoy Whirled Peas. 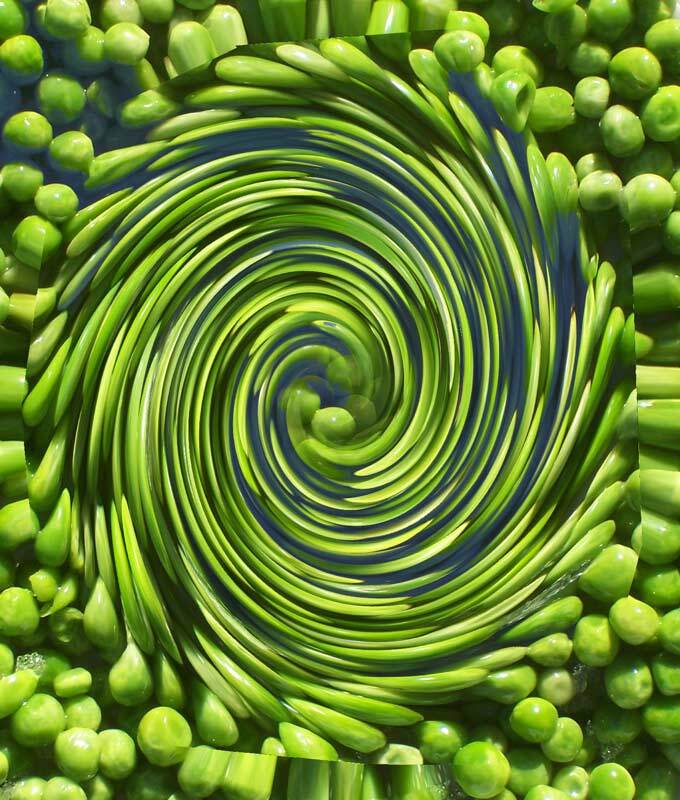 Whirled Peas can make everybody appreciate how dear our human existence really is. Whirled peas can also help to appreciate the other species of life than share the planet with us and see how precious our existence really is. Peace, joy and happiness to everyone.